I just adore this idea I spotted here via Pinterest (I may need an intervention). It's a mini interview that you conduct with your little one on their birthday. You then save it for them to read later. 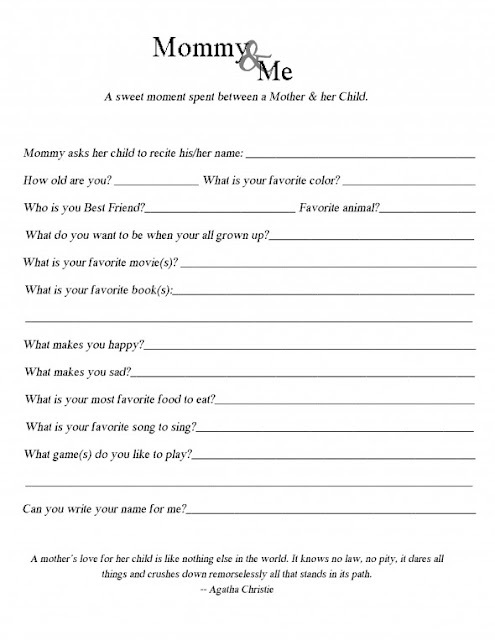 Personally, I would like to take it one step further and have Jeff and myself fill out a page as well so she can have that bit of information for keepsake, too. Now I'm thinking of the questions I'd like to ask...what would you include?